Are you interested in purchasing a new aircraft? It can be one of the best investments of your life. There is nothing quite like owning your own aircraft. However, purchasing an aircraft is just the beginning. It is also incredibly important to protect your investment with the right Aviation Insurance Policy. But how do you know how much insurance to purchase? 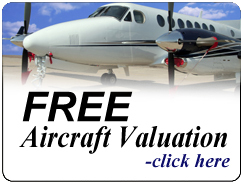 How can you correctly calculate the value of an aircraft? Under-insuring your Aircraft: It is important to ensure that you have the right amount of coverage for your aircraft. Otherwise, if your aircraft becomes damaged, you may face “constructive total loss,” when the cost to repair the aircraft plus potential salvage value exceeds its insured hull value. Over-Insuring your Aircraft: On the opposite end of the spectrum, you do not want to over-insure your aircraft either. In this economy, who can afford to pay more for their coverage than they need to? With AIR’s aircraft valuation package you will receive a free Bluebook basic valuation for standard aircraft, 20% off title search and filing services, and quotations solicited from all the major underwriters that would be most competitive for the type of flying you do. To find out more about Aircraft Valuation, please contact Aviation Insurance Resources by calling 877-247-7767 or visit AIR-PROS.com today and receive a free Aircraft insurance quote! You can also follow us on Facebook, Twitter, LinkedIn, Pinterest, and Google+.